Is Ultimate Spider-Man the Ultimate Answer or Ultimate Hero? This Wednesday, Marvel's Ultimate Universe finally brought the new Spider-Man, Miles Morales, to readers. 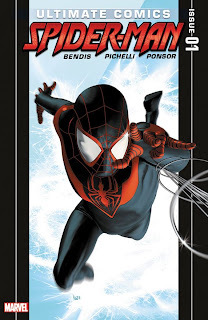 Brian Michael Bendis writes the new-reader friendly Ultimate Comics Spider-Man #1, in which he begins to tell the tale of how young Miles becomes the next Spider-Man. You will be able to find reviews of the issue on every other comic book website, so I will spare you my full thoughts on the book (which was amazing, by the way). What you may also find, within well written reviews on sites like iFanboy.com, is that comic book readers know their nerd fiction. In this case, their "Hitchhiker's Guide to the Galaxy" fiction. In the Douglas Adams's classic, "Hitchhiker's Guide to the Galaxy," Adams writes that there exists an answer to the ultimate question, and that answer, the ultimate answer, is 42. The number 42 in nerd lore is always associated with "Hitchhiker's Guide", and this may be exactly why Bendis uses it in Ultimate Comics Spider-Man #1. In Bendis's first issue he explains that there are tests being run on multiple spiders so that the source of Spider-Man's powers can be reproduced by Norman Osborn. The spiders involved in the tests are numbered so that the researcher, and more importantly the comic reader, can understand that many spiders are being tested upon. The spider we are concerned with, the spider that eventually bites Miles Morales, is the spider numbered 42. The spider that eventually bites Miles Morales is numbered 42. What if there is more to the number 42? What if there is another significant reason Bendis chose to label the spider that gives Miles powers, 42? When I first read Ultimate Comics Spider-Man #1, and saw the spider was numbered 42, I actually did not think of Douglas Adams; rather, I thought of Jackie Robinson. When Peter Parker was killed-off, and Bendis and Marvel had to decide on who to make the new Spider-Man, or rather, how to sculpt the next Spider-Man, they ended up making a rather unique and slightly risky decision: Spider-Man would be black. Of course there isn't anything wrong with that, and it really shouldn't matter, but to this point there has never been a top superhero that has been black. Spider-Man is probably one of the top 5 recognized superheroes in the world, and along with the others (Batman, Superman, and whoever else you may argue) he was white. The big boys, the top guns, the money makers...they are all white. That is why I thought the number 42 was an ode to Jackie Robinson. Robinson was the first black baseball player to break the color barrier (April 15, 1947). 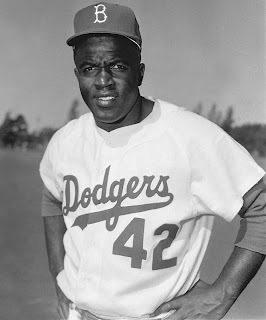 Robinson was the first black baseball player to play Major League Baseball (Dodgers). His entrance into America's most popular sport, and form of entertainment (at the time), is arguably one of the most important events in the last 100 years, of the United States' history. Miles Morales is actually a mix of several US minorities, but he is recognized as black and "black" basically just means minority in this situation. Miles is breaking a barrier that has stood for far too long. To me, the number 42 represented a positive change in comics and our society in general. It represents equality. 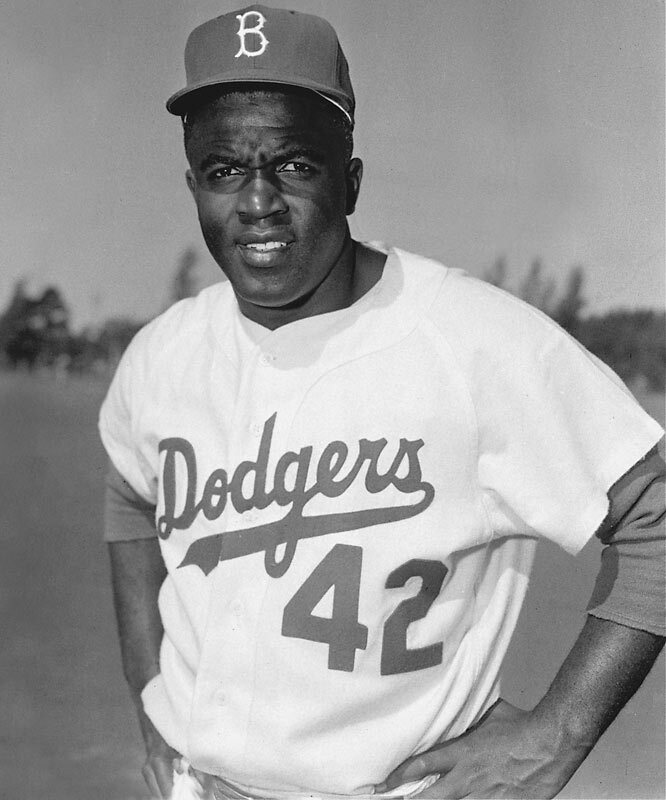 42 marked a social hero, a cultural hero, a baseball hero and a people's hero. An American hero. But you know what? Maybe I am reading way too far into this. After all, when Douglas Adams was asked why he chose the number 42, Adams did not give some amazing, magical or logical answer. Adams simply said, "It was a joke. It had to be a number, an ordinary, smallish number, and I chose that one...I sat at my desk, stared into the garden and thought '42 will do'. I typed it out. End of story." Why do you think the number 42 was chosen to mark the spider that would create a hero, in Ultimate Comics Spider-Man #1? Excellent analysis! If I had to guess, I'd say your first theory is the correct one (but then, I'm an Adams fan) - but Bendis may have had Robinson in mind, too.